Reins sold seperately. High quality leather rubber grip reins with nylon inserts for increased strength and flexibility. Hook stud billets. Super, supple leather. Good workmanship. Attached description is also understandable for customization, just a pity that no reins are included in the "package". In terms of size and full, while my horse actually always has Cob size, but this fits well. Delivered within 24 hours, really super. Nice leather. Very happy with it and my horse too (I think) Browband is great with my horse. 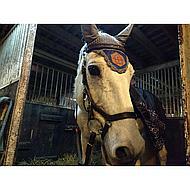 I've said it before: an absolute must, suitable for all horses! Pay attention: sizes are on the small side. 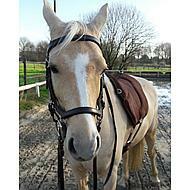 It is a horse / pony friendly bridle and I can recommend it for anyone to ride. Furthermore, it may look a bit nicer / more luxurious, but it does not change the functionality. Question: Hello, I have an Icelandic horse. Do you need size Cob or pony? 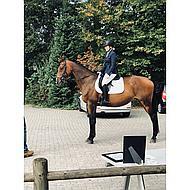 Question: Hello, can you guide me in the sizes for a 165cm mare please cordially. 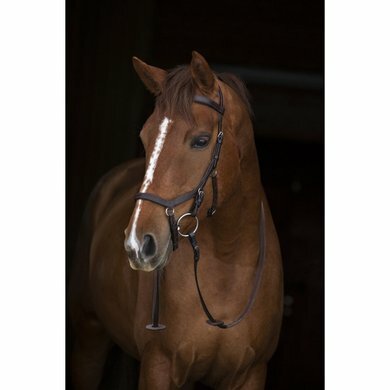 Answer: Most people who have doubts between 2 sizes come out with the largest size in this bridle. You could also order and compare both. The person who does not fit can return you free of charge via our return service. Question: Can you also drive with this bitlessly? Answer: The sizes refer to Pony, Thoroughbred (Cob), Warmblood (Full) and Heavyblood (XFull) For an Icelander, Size Cob is generally appropriate. Question: Are there any full length specifications for the Rambo Micklem Competition, eg for browband or the shorter lengths? 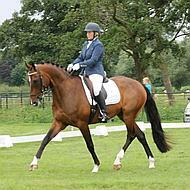 Is it true that the lengths differ in the Competiton and the multibridle? Answer: Both teethbelt and clips are included. Question: Are there plastic or leather bitclips with this bridle? And do you need it? Answer: The bitclips are included as standard. They are plastic. Question: Are the Micklem Competition both (black and brown) with silver fittings? Question: Does the Micklem competition include the bitstraps and that extra sidepull little chin? 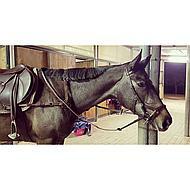 Our Micklem bridle is unfortunately stolen during lending via our loan service. We had the Full with everything, including the band for cross under bitless. Answer: With the Multi you can drive bitless, with the Competition not. Question: Can I change the hoofset if it does not fit? 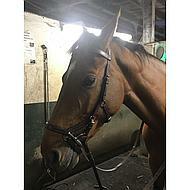 My horse (1.65) now has a cob bridle, but wants to order the full. Are those plastic bit-clips also included? 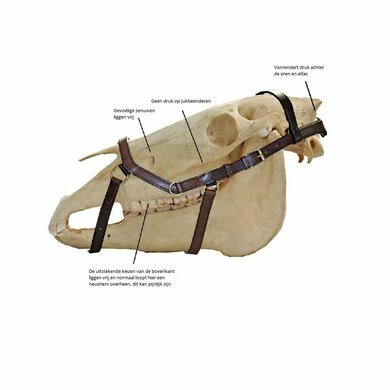 Answer: If the bridle does not fit, you can return it within 14 days, unused and in original packaging. You can then order another size. The bridle is delivered including the plastic bit clips. Question: hello, on other sites where I found this competition model that it is only suitable for driving with bit. Does that also apply to this or can I also drive without it? I do not actually see the difference why or not. Answer: With the Multi bridle you can drive bitless. With the Competition you can only drive with bit, you can not use it bitlessly. 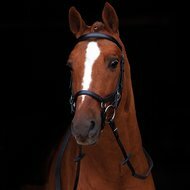 Answer: With the Multi bridle you can also drive bitless and lunge through the ring on top of the noseband. This is not possible with the competition. Answer: This has silver buckles. The multi has gold colored buckles.